44km out-and-back style course. 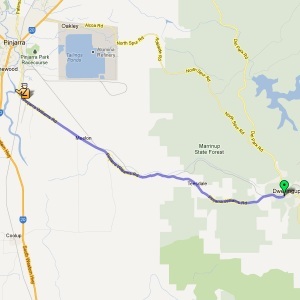 Starting from the intersection of Pinjarra Williams Road and River Road in Dwellingup. Heading down the hill towards Pinjarra, turn-around is over the train line near town.